Hummingbird Credit Counseling and Education has filed suit against Attorney General Eric Holder, Department of Justice, and Executive Office of United States Trustee. This suit asks for a declaratory judgment and injunctive relief. This case caught my attention because it’s not often you see a credit counseling company suing the USA and it appears this is yet another debt relief industry case that involves a personal conflict between insiders which causes an unfortunate impact to consumers. According to court documents, Hummingbird Credit Counseling is a taxable non-profit North Carolina corporation who has provided pre-bankruptcy counseling and was approved as such a provider by the Executive Office of the United States Trustee (EOUST). Since 2006, Hummingbird Credit Counseling has provided approved services to consumers but on December 18, 2013 the the EOUST issued a Notice of Removal of Hummingbird as an Approved Provider of Personal Financial Instructional Course. The EOUST stated it was not the nonprofit status of Hummingbird that created a problem, but the alleged problems with transactions between Mr. Brasco which did not comply with North Carolina nonprofit statues. Having pursued the administrative opportunities to fix this mess, Hummingbird must have felt they had not other opportunity but to sue the government. The impact to Hummingbird would be huge if removed as a provider. Hummingbird Credit Counseling says they have a vendor relationship with 820 bankruptcy offices across the United States and competitor credit counseling providers are “fiercely competing” to capture the Hummingbird business. The debtor education Hummingbird Credit Counseling provides to consumer consists of a two hour video and an online test to be able to get the required credit counseling certificate to proceed with a bankruptcy filing. In May 2014, Hummingbird issued 1,237 such completion certificates. A number of supporting affidavits to support Hummingbird’s continuation as an EOUST approved provider were offered up, here, here, here, and here. 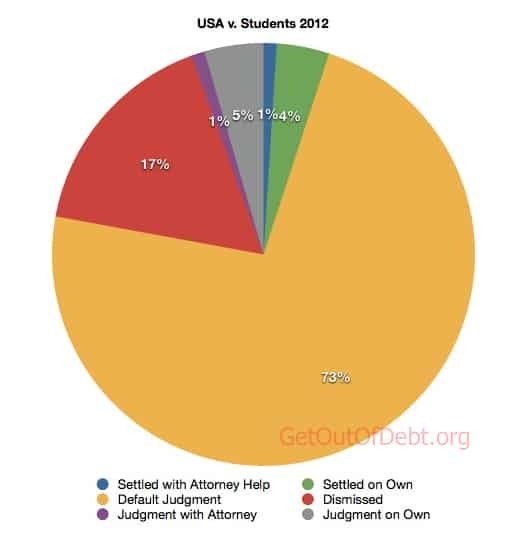 Being Sued for a Federal Student Loan? Don’t Panic. Read This!